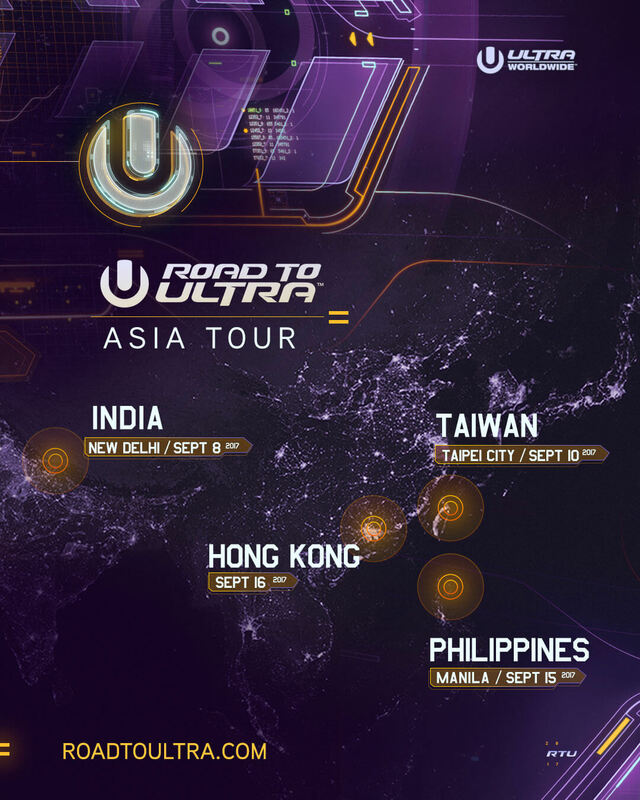 Accompanying these bite-sized movies, are the official dates for four Road To ULTRA events in Asia this coming September. Having announced its expansion into the subcontinent, it is confirmed that the debut edition of Road to ULTRA New Delhi will take place on September 8 at the India Exposition Mart in Greater Noida. Road To ULTRA Taiwan and Road to ULTRA Philippines will take place on September 10 and September 15 respectively, with each event recurring for the third consecutive year. Road To ULTRA Taiwan will again be hosted at the Da Jia Riverside Park in the capital city of Taipei, while the Road To ULTRA Philippines venue will be announced at a later date. Road to ULTRA Hong Kong returns to Nursery Park in West Kowloon Cultural District for its second edition on September 16, with expanded grounds, an enhanced stage and an altogether upgraded ULTRA experience. ULTRA Korea has released the second installment of artists set to perform at the Olympic Stadium in Seoul on June 10-11, 2017. Bass music legends, Pendulum, will join the stacked lineup of headliners and will perform LIVE for the first time in Korea. Taking their place on the esteemed Live Stage, the Australian outfit have been credited for the global popularization of drum and bass over the past decade. Fans can expect to witness a raw, high-octane live experience from the group, reminiscent of their closing performance at Ultra Music Festival, Miami in 2016. In addition, five international acts have been added to Phase Two and are due to perform across four unique stages on the historic Olympic site. GTA will be rocking proceedings on the Main Stage, while Klingande brings his tropical vibes to the Magic Beach Stage. In addition, ANNA and Carlo Lio will be joining the likes of Sasha & John Digweed, Dubfire and Nic Fanciulli at RESISTANCE – ULTRA Worldwide’s burgeoning house and techno concept that debuts in Korea this year. Support comes from the likes of ANOTR, Darius, Dynamic Duo LIVE, G2 LIVE, Jewelz & Sparks, Julian Jordan, Justin Oh, Kryder, Mr. Belt and Wezol, Raiden, Reddy LIVE, RioTGeaR, Sem Vox, Tez Cadey and Will Sparks, with more to be announced soon. Ultra Korea is officially the longest running edition of ULTRA outside of Miami. Having sold out of Early Bird Tickets, limited Advance Tickets remain on sale priced at 165 USD for those based overseas and 165,000 KRW inside Korea. Tickets are available exclusively at UMFKorea.com/tickets. Having welcomed over 350,000 fans to eight events across Asia last year, ULTRA Worldwide will produce a total of nine shows on the continent in 2017; Korea, Singapore, India, China, Taiwan, Hong Kong, Philippines, Bali and Japan. For full details on all ULTRA Worldwide events, visit UMFWorldwide.com.